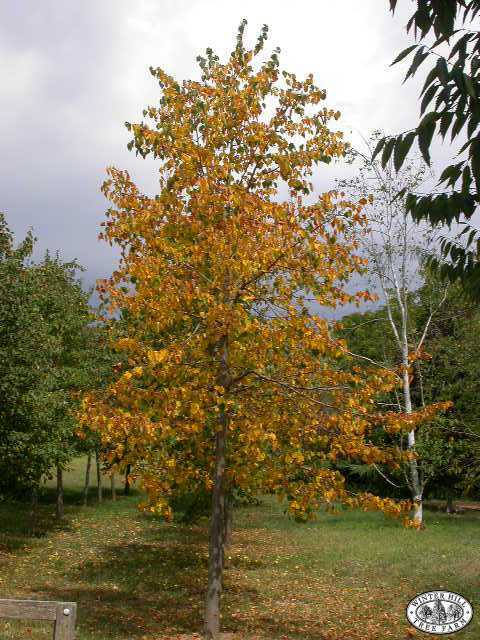 Deciduous, pyramidal, medium to tall tree. Leaves are small and heart shaped. White flowers are very fragrant in summer, followed by berries. Beautiful specimen tree, forming a broad domed crown. Often used for pleaching. Performs well under difficult conditions. Tolerates pollution. Prefers a moist, well-drained soil.